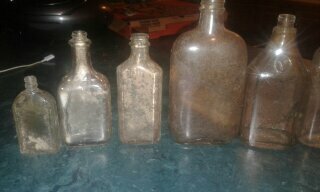 Can Y'all please take a look at my bottles that I dug up and let me know if I have any good finds? I'll sell them if anyone is interested and wants to make an offer. 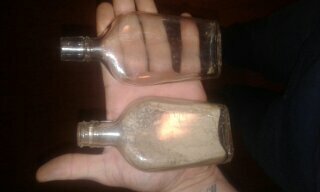 These were dug up near Union, Mississippi. Thanks. 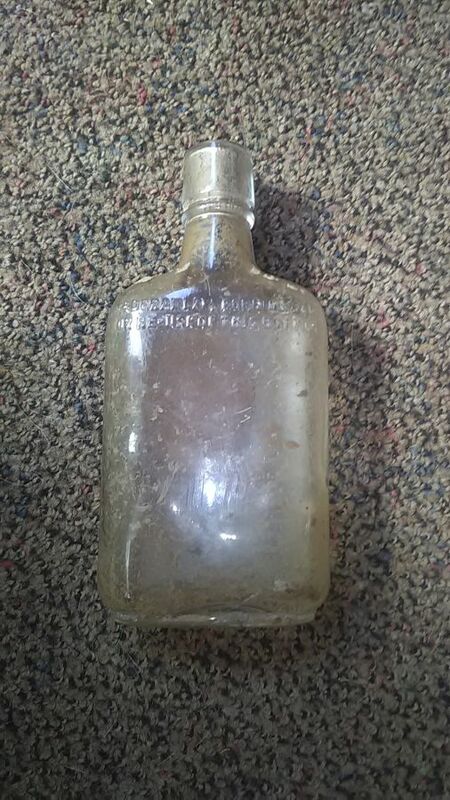 A suggestion for researching bottle worth's: First get to know the bottle makers mark. 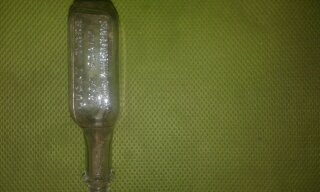 This will put you in the year a bottle was manufactured. 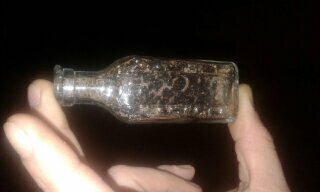 Once the date and type are known, going to ebay to see if others are listed will give you an idea what it worth. 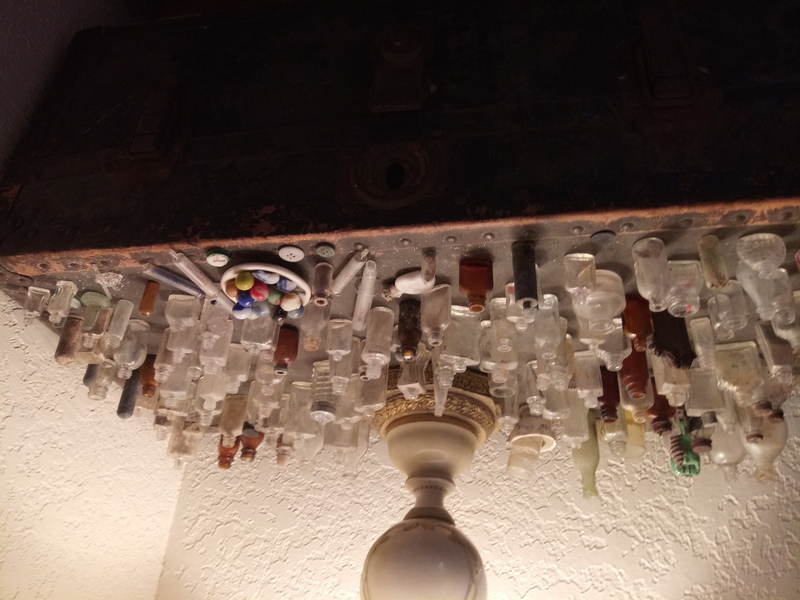 Selling individual bottles that are unique by themselves would bring more value to your wallet. 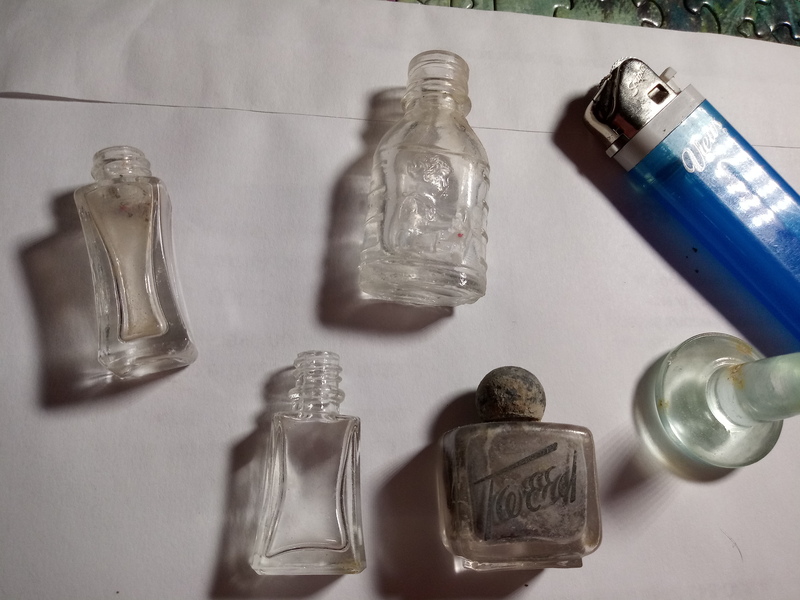 Selling screw-tops and cork tops of the molded type (ABMs You can tell the ABM's by the seam lines which run through the top of the bottle.) as lots may benefit you for these types. 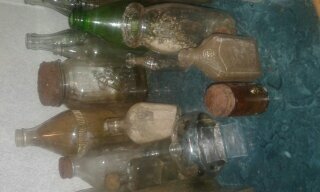 Researching bottles is very tedious but rewarding for the newbie because of the vast knowledge you will learn as I did. Also, check out your local flea markets. 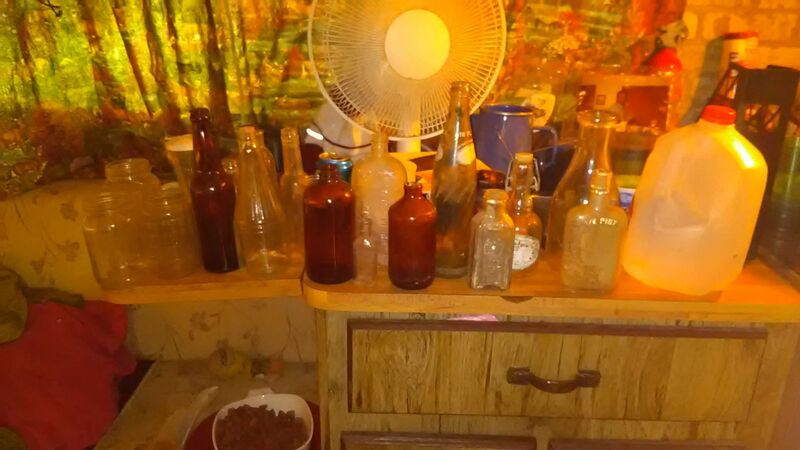 You may find some of the bottles you have with a price. This will give you an idea where to start. 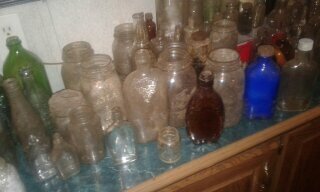 Mason jars of a certain color bring in more also. 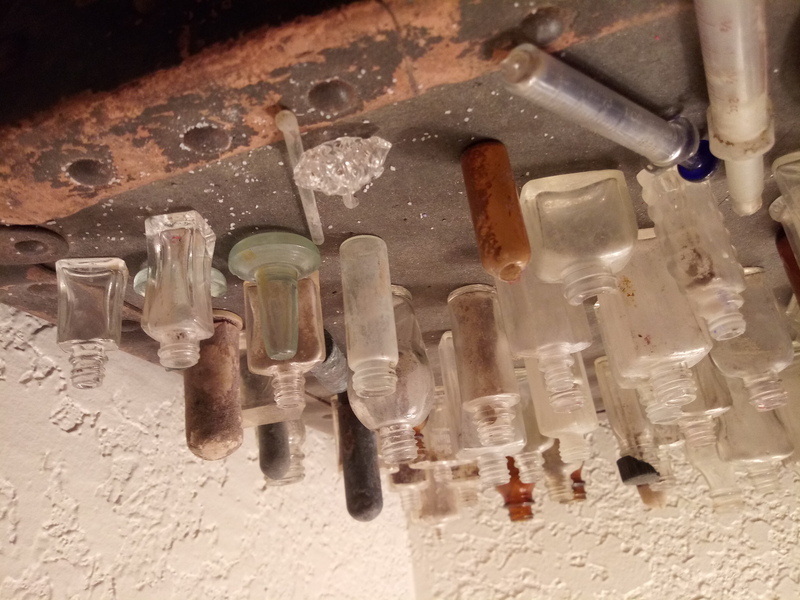 It looks like that small cork top bottle may be a poison bottle. Now you can take them and categorize them to types and dates with the above research tools and have a better understanding of what they are. 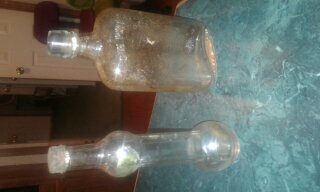 @ajay26 I am not familiar with the bottle but given the screw top one can say post 1915 or so. Alternately, earlier 20th century. 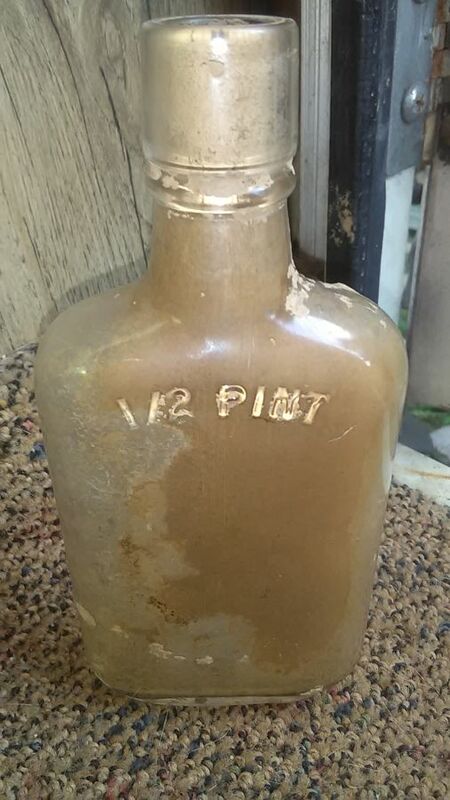 Does anyone have any information about this Ball jar? 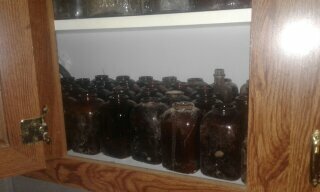 I think this jar is very rare. 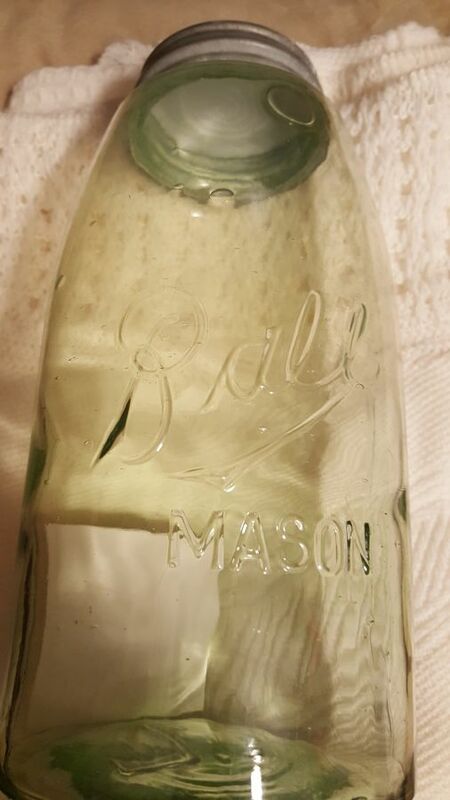 It is a triple L jar (1896-1910) and I think apple green in color. 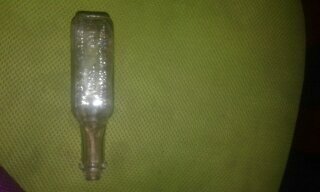 There are 4 dots on the bottom with what looks like and "L". 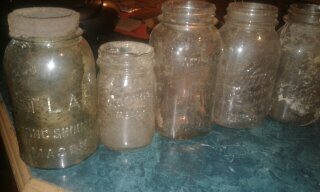 The "B" is in the "R" shape which is considered a "Rall" jar I think. It is 1/2 gallon not a quart. 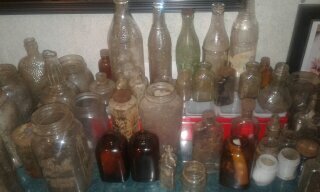 My little bottle collection. Would love to sell them off. A few of my favorites.